Creative photography studio lighting workshop is a course working with colour gels and creative lighting techniques. It’s therefore ideal for photographers who would like to go beyond the basics, and get creative with photography studio lighting. This photography course is ideally suited to those who have a basic understanding of photography studio lighting, or those who have previously attended our ‘Introduction to Studio Lighting’ workshop. This workshop is designed to fine tune and hone your photography studio lighting knowledge and skills. If you would like to learn how to use coloured gels in your studio lighting, then this is the workshop for you. Emphasis on the use of coloured gel lighting. How to harmonise complimentary colours when using coloured gel lighting. Creative high and low key lighting. How to creatively build studio lighting designs - from one light to multi light setups. How to light with fine detail to take your studio lighting skills to a more advanced creative level. Creative Studio Lighting Workshop is held by Nigel Fleming Photography, in his commercial studio in Dungannon. This is a one day photography course, usually held on a given Sunday, and runs from 12 – 5pm. 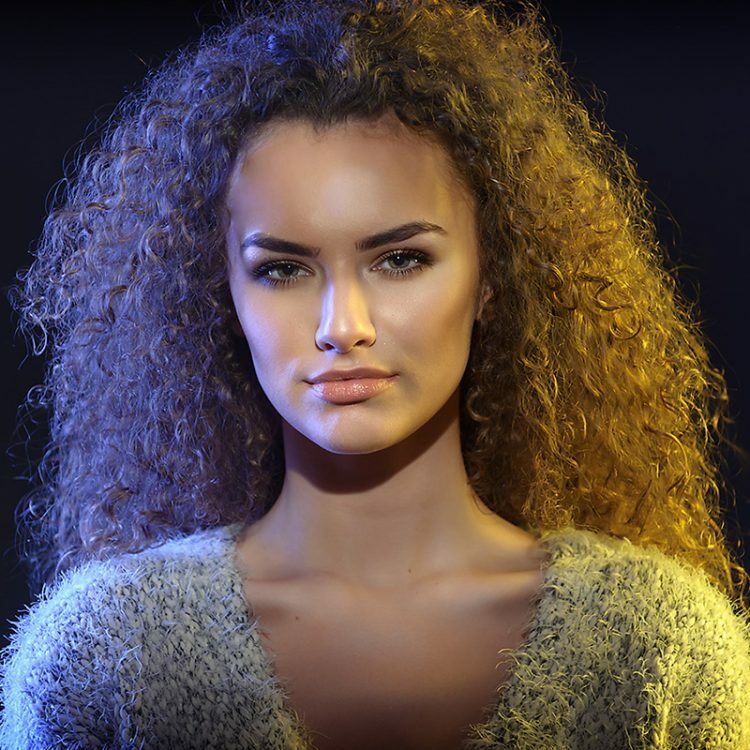 A workshop designed to fine tune your photography studio lighting skills, and be more creative and detailed in your lighting techniques. A large part of this workshop is placed on the creative use of colour gels in studio lighting. See how to be creative in the use of studio lighting setups, from one to multi light designs. Experience working with a professional model, covering several different looks and outfit styles in a commercial studio environment. Everything is explained and demonstrated in a relaxed, jargon free way, and emphasis is placed on ensuring attending photographers gain the knowhow to confidently use studio lighting and coloured gel lighting creatively. Photographers are encouraged to bring their own cameras to fully participate in all the lighting setups with the professional model. Attending photographers will have great, high impact photos to take away from the workshop, and edit to use in their portfolios. Some light lunch/tea/coffee is also provided during a break. Places are limited to 6 to 8. This ensures all questions are answered, and providing ample time for each photographer to photograph every lighting setup. A DSLR camera with standard hotshoe. All studio lighting and coloured gel equipment. Please complete the contact form below, and be sure to let us know which workshop you are interested in (workshop type). Please see Booking and Workshop Terms and Conditions.